Currently enrolled students who find themselves in dire need of financial support in order to manage an unexpected situation that may cause them to quit school are encouraged to apply. A paper application can be found at the SIPI Board of Regents office (OT 142B) or SIPI Financial Aid Office (OT 143/174) or Jolene Aguilar 505-346-2360. SIPI New Student Scholar Award - This renewable scholarship is for first time SIPI students who are committed to their academic success. All new or transfer students will be considered for this scholarship by the admissions staff. No separate application is required. This scholarship will waive ALL student fees for full-time, residential or commuter students, including meal plans. Please complete your SIPI application by the regular fall, spring or summer deadline. This scholarship will automatically renew if student remains continuously enrolled at SIPI, maintains Satisfactory Academic Performance by enrolling in and working towards a degree or certificate program and receives no Student Code of Conduct violations. Students may be eligible to participate in the BIA/Tribal Higher Education or Adult Vocational Training Programs. Applications must be submitted to agencies well in advance of enrollment at SIPI. Availability of funds is determined by the funding agency. To apply for funding contact or write your BIA/Tribal Scholarship Offices. Students must complete a FAFSA in order for the FAO to complete a financial needs analysis to respective BIA/Tribal Higher Education Offices. See link for more information https://www.bie.edu/ParentsStudents/Grants/index.htm. Students are encouraged to apply on-line at http://www.collegefund.org. All eligibility and award decisions are made by the American Indian College Fund. Summer, Fall/Winter application will open in January of 2019. The Gilman Scholarship Program broadens the student population that studies and interns abroad by supporting undergraduates who might not otherwise participate due to financial constraints. The program aims to encourage students to study and intern in a diverse array of countries and world regions. For more info go to https://www.gilmanscholarship.org/program/program-overview/. Submit up to two photos in each of the following four categories: Laboratory, Environment, Community, Classroom. For more info go to http://tcjstudent.org/tcj-student-photo-contest/. This scholarship is funded by Freeport-McMoran and administered by the Phoenix Indian Center, Inc. The value of this scholarship is $2,500/per semester for students enrolled in a four-year program at a university or tribal college and $1250/per semester for students enrolled in a two-year program at a community college or tribal college. For more info go to https://phxindcenter.com/youth-programming/scholarships-grants/. The scholarship is funded by the Cyrups Tohono Corporation and administered by the Phoenix Indian Center, Inc. This scholarship will cover tuition, fees, books, and room and board at the rate paid for an in-state Arizona resident for up to four years and is awarded based on overall rubric scoring. This scholarship is awarded to a student who is an enrolled Tohono O'odham Nation Member residing in Arizona and attending an accredited Arizona based university. For more info go to https://phxindcenter.com/youth-programming/scholarships-grants/. OurMilitary.com, a Valor Worldwide company, was founded to help active service members, veterans, and their families have access to current information and resources. We work each day to provide our visitors with valuable resources to assist military communities. 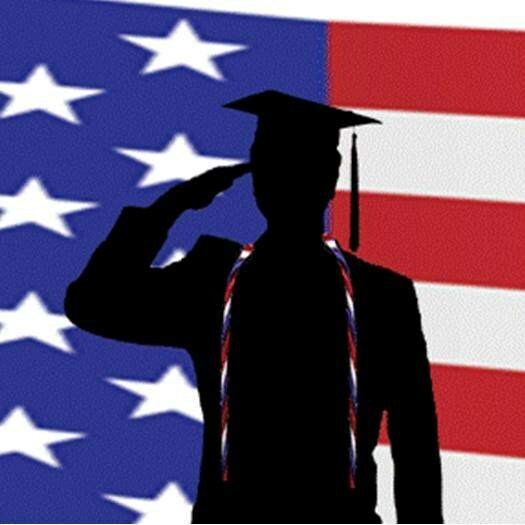 To help further support our military and their families, we have created a $1,000 annual scholarship for one undergraduate student that is either an active service member or veteran, a military spouse, or the child of an active service member or veteran. For more info, go to https://www.ourmilitary.com/scholarship/. Scholarships are open to women who are pursuing Accounting degrees at the undergraduate level. In addition to the general scholarships, there are scholarships open to students who attend school in the state of Washington, women returning to school after raising children, and minority students. For more info, go to https://www.efwa.org/scholarships_undergraduate.php. The REDW Scholarship is for undergraduate and graduate student who are enrolled members of a federally recognized American Indian tribe or Alaska Native group or a state-recognized tribe in the U.S. OR provide documentation of ancestry to possession of one-fourth degree Indian blood of a state or federally recognized tribe in Arizona or New Mexico. REDW encourages Native Americans to pursue a career in accounting and finance, increase the pool of top talent from which to recruit for the Firm’s Nation Tribal Services team and identify Native American students interested in participating in the Firm’s Internship Program. For more info, go to https://www.aigcs.org/scholarships-fellowships/undergraduate-students/. AIGC administers a Bureau of Indian Education contract to provide financial assistance in the form of scholarships to eligible American Indian and Alaska Natives seeking undergraduate, graduate and professional degrees in Science, Technology, Engineering and Mathematics (STEM). The maximum amount of an undergraduate award is up to $20,000 and the maximum amount of a graduate award is up to $30,000 in an academic year. Actual award amounts and the number of awards will be determined based on the number of funded students at each academic level (associate’s, bachelor’s, master’s, professional and doctoral). This opportunity is a merit-based award. For more info, go to https://www.aigcs.org/scholarships-fellowships/undergraduate-students/. Each academic year, Accenture selects students who demonstrate character, personal merit and commitment to the American Indian community locally and/or nationally. Merit is demonstrated through leadership in school, civic and extracurricular activities, academic achievement, and motivation to serve and succeed. For more info, go to https://www.aigcs.org/scholarships-fellowships/undergraduate-students/. The Nelson’s student aid fund will make awards to young adults aging out of foster care who want to develop a marketable skill or continue their education at a post-secondary school. They hope they can positively impact the lives of young people who have already suffered from the insecurity of an unstable childhood. Applicants may be high school graduating seniors or recent graduates, or those with a GED certificate or an undergraduate in college. Students may attend a nonprofit or public educational institute in New Mexico or out-of-state and go to school full time or part-time. For more info, go to http://albuquerquefoundation.org/youth-in-foster-care-scholarship-program.aspx. Sussman-Miller Educational Assistance Award Program - 4/16/19 for students attending a out-of-state schools or in-state private schools, 6/17/19 for students attending a NM state public school. The Andrew Piech Memorial Scholarship Fund was established in 2010 by Paula and Gerald Piech to memorialize their son, Andrew. Andrew graduated from Eldorado High School in 2004 and from the Universal Technical Institute (UTI) of Phoenix in 2005. He enjoyed working on cars and UTI allowed him to pursue his educational passions in the automotive field. One or more scholarships are awarded each year to New Mexico graduating high school seniors and/or continuing college students. Students must pursue a degree or certificate from a nonprofit or public school: an automotive or technical vocational institution including community colleges. Student may attend school full or part-time. For more info, go to http://albuquerquefoundation.org/andrew-piech-memorial-scholarship.aspx. The Trythalls owned a New Mexico staffing company for 43 years and encountered many goal-driven employees who were struggling to work and support a family while returning to school part-time to either complete a degree they left behind years ago or begin their education journey. They established their scholarship fund in 1989 with the purpose of assisting these individuals in the pursuit of excellence while maintaining a career. The scholarship is to assist older, non-traditional students who have taken the initiative to reach for a goal, demonstrated a commitment to the goal by maintaining a minimum 2.8 GPA and who need assistance to continue in the pursuit of that goal. For more info, go to http://albuquerquefoundation.org/trythall-family-scholarship-for-excellence-in-continuing-education.aspx. Each year, Kirtland FCU is proud to award three scholarships to deserving graduates heading to college in the fall. This year, applicants will have a chance to win one of three scholarships: $1,000, $1,500, or $2,000. To be eligible, applicants must be accepted to a two- or four-year college and enroll in the Fall 2019 semester. Applicants should be members of Kirtland FCU or sponsored by a current member. For more info, go to https://www.kirtlandfcu.org/scholarship.aspx. Souder, Miller & Associates offers a $1,500 scholarship opportunity to Native American students pursuing a four-year degree in Science, Technology, Engineering or Mathematics. The scholarship may be used for tuition, fees, books or on-campus housing/meals. Automatic approval for up to a maximum of four academic years is at the discretion of the Scholarship Committee. For more info, go to https://www.soudermiller.com/company/tss. TRANSFER SCHOLARSHIPS - These scholarships are for graduating & transferring SIPI students due to scholarship requirements. Please review eligibility requirements carefully. CyberCorps (R): Scholarship For Service (SFS) is a unique program designed to increase and strengthen the cadre of federal information assurance professionals that protect the government's critical information infrastructure. This program provides scholarships that may fully fund the typical costs incurred by full-time students while attending a participating institution (University of New Mexico is a participating institution. Please see website for more institutions), including tuition and education and related fees. Additionally, participants receive stipends of $22,500 for undergraduate students and $34,000 for graduate students. The scholarships are funded through grants awarded by the National Science Foundation. Must be a Phi Theta Kappa member. For more information, go to https://www.ptk.org/Default.aspx?TabID=2578. and transcripts from previous colleges (transferability must be reviewed by academic advisor). Written records of previous education and training are maintained to show that appropriate credit has been given for the previous education. The training program at SIPI is then shortened proportionately. Information about eligibility for VA education and training benefits is available at any Veterans Administration Office. The Albuquerque Veterans Administration is located at 500 Gold Avenue SW 87102, Call toll free 1-800-827-1000 (NM Residents) or visit: http://www.va.gov. Disabled persons may be eligible for education and training benefits from DVR. The Albuquerque offices include: The Albuquerque office include: 7905 Marble Avenue NE, (505) 232-8701; 300 San Mateo NE, Suite 101, (505) 841-6450; Disability Determination Services, 3121 Amherst Drive, NE, (505) 841-5600; DVR Toll Free Numbers - 1-800-224-7005; 1-877-475-8226 TTY. DVR Web site: http://www.dvrgetsjobs.com. Students may also contact the on-campus counselor at (505) 346-2319. In specific instances, disabled students may be eligible to draw educational benefits through Social Security. Information on the application process and eligibility requirements may be requested by calling 1-800-772-1213. Visit SSA web site: http://www.ssa.gov.